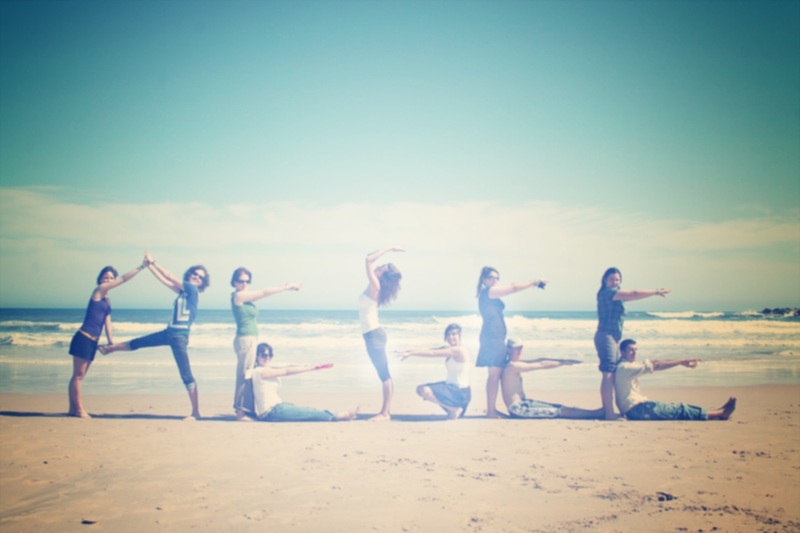 Summer is the time of Summer Universities (SUs) for most antennae. For most antennae, the organisation of a SU is enough to keep everyone extremely busy. This is the moment when AEGEE-Kyiv stands out from the crowd. Just in the month of August, they not only organised an incredible travel SU with AEGEE-Kharkiv, but also managed to do a trip with the local project ALOT (AEGEE Local Trips), at the same time preparing an exchange with AEGEE-Leipzig, getting ready for a conference on non-formal education and packing for the next ALOT trip which is going to take place this weekend. All this is also the reason why they have been chosen as AEGEE local of the month. Some of the board members kindly agreed to give The AEGEEan an interview. Let’s see what they had to say! The AEGEEan: You have many projects going on at the same time, both on the local and European level. Where do you find people to organise it all? We care very much about our members and try our best to make them grow as personalities. At the moment we have few permanent long-term projects such as ATC (AEGEE Training Camp), AEGEE Training Challenge, ALOT which are running on local level. ATC includes all the thematic trainings and has such goals as improving the skills of AEGEE members in PR, HR, FR, as well as self-development. We’ve got amazing speakers who really know what AEGEEans need. How? Easy- there are no better trainers than former AEGEEans who reached their goals and are now ready to share their experience with others. AEGEE Training Challenge serves as a tool to encourage members of the Network to reach for the stars, checking the results of each other, half-playing half-working people and not noticing how the game turned into a competition. It will last till October when the best scored one will get an award! Good luck, guys! Apart from the competition results, what are the other plans for the future? The only one thing left to add to our “done” – list is European Boards’ Meeting (EBM) in Kyiv. This year we did not receive the right to organise it but we will try again for sure! The nearest plan – LTC for knowledge transfer of all the AEGEE-secret-techniques for the new members. It is going be held in the end of September and everyone is invited. Guests are always welcome. We are also planning to make a youth conference about non-formal education in the end of autumn and are looking forward to our exchange with AEGEE-Leipzig. Which are your favorite projects of the year? Out of short-lasting, it is Human Resources European School (HRES) that we organised in spring and SU. HRES was more stressful, as it was during working and studying time, but we managed to organise it on the high level. Among my favorite is also the long-lasting project ALOT, which is really successful in bringing our members together, while traveling all around Ukraine. We organised HR European School (thanks to Kateryna Kozhemiakina for great coordination of this project) and Summer University “Shoot the moment” (Olia Yushchenko, Anna Kotovych and AEGEE-Kharkiv made this event unforgettable). Also we provided our members with two long-lasting projects – ALOT or AEGEE Local Trips (Maxym Kovalenko prepared every trip with passion and real AEGEE spirit) and ATC (every workshop was hardly prepared and perfectly organised by Lidiia Akryshora). And we had a lot of not so big local projects, but every project is my favourite, because they help our members to be a part of active youth and to realize their ideas. AEGEE-Kyiv members have been having a lot of fun in other antennae lately. I have heard some rumors, but I want confirmation. 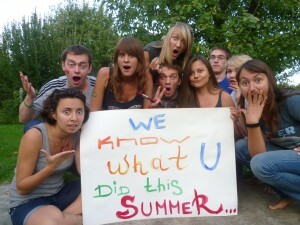 How many flags did members of AEGEE-Kyiv manage to steal this summer? At the moment we have just one flag of AEGEE-Moskva. It was stolen by our team headed by the treasurer (and at the same time our Network Commissioner) Olia Yushchenko during the European Night at the Network Meeting (NWM) when all the attention was devoted to the Russian table. But also we have a mascot of AEGEE-Madrid, which was just too easy to get! The board did not notice that it vanished for a week! So Retirito has a new home with care and love in Kyiv. The Agora is coming closer and closer. How many people are going there from your antenna? We filled all available places with active and motivated members. We will rock the Agora in Budapest! The AEGEEan will remember these words and keep a close eye at the antenna’s performance at the Agora. 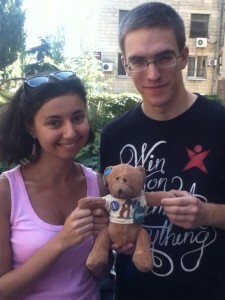 A big thank you for the photos to Anna Kotovych and Roma Kudriavtsev, AEGEE-Kyiv, as well as Eugeniy Grinchenko. ← SU Story of the week: Riga Heartbeats Forever!